Shipping weight = 2.31 lbs. “Going green” can be both highly effective and eco-safe with Absorbine®’s UltraSheild® Green natural fly repellent. Smells great! Does not work against the heavy duty flies nor does it last very long. The flys still land on my horse even after heavily sprayed. So many "natural" (and chemical) fly sprays don't work much past the time it takes to do an overall spritz-but this one lasts for a good long ride, smells nice, and isn't poisonous-which I appreciate. This product is as good as any fly spray I have tried and is a safer product for my horses and me. Though I have tried several different fly sprays - and none of them are totally effective - this one does a decent job, is non- toxic, has a light, pleasant fragrance, and is priced competitively. It's a good product that I will be purchasing again. No fly spray works as long as they claim. I like this one because it smells good and is all natural. I'd say it works for 6 hours or so. Cost is average, horse.com sells it for better than other retailers. Works for a couple of hours then flies are biting again. But this is true of most fly sprays. At least this one isn't a bunch of chemicals. I was glad to find an eco friendly fly spray and it does work wonderfully. The problem I have found is that after a while of using it, my saddle does a sidweways 90 degree turn at the slightest provocation. I can't get the girth tight enough to make it stop. Everything else being the same with tack, I have to believe it's the spray. I would recommend the product if you don't have a problem with slipping. The best fly spray I have ever used. It's great that there's a more natural option for bug control. This has done the trick for general application. I have yet to give it a try during extreme peak buggy season but I'm hoping it continues to give my ponies relief. It smells great. Got it for my dairy cows and it works anywhere from average to what I'd consider great for fly sprays. I wanted a non-chemical spray for my cows especially when milking because the chemical pour-ons don't last. While this doesn't get all the flies off when there at there worst it does get at least half of them off. Sometimes it doesn't seem to work as well as others, but neither did the chemical sprays on the horses. The one cow actually stands completely still to have it sprayed all over her. I use it on the horses also. It worked great on them, they just don't like to be sprayed whether it helps or not. I try to use as much natural chemical free products that I can, not only for my family but for my animals, and when I found this product I was so excited, several folks at the barn were skeptical saying that I needed to use the same harsh chemicals that they were and that no way was my natural choice going to work, I thought well I recognize all the ingredients and have made my own fly spray with similar ingredients and had great luck, only problem making my own can get very costly and consistency cant be guaranteed, So I was so excited to try, and guess what IT WORKED! Not only did it WORK, but while I watched the same folks who said it wouldn't work re apply their fly spray several times, with bugs buzzing around them, we were in great shape, bug free, smelling great, and not needing a late afternoon re application! I LOVE IT! I like your spray but your sprayer do not work very well,i have to replace with other product sprayers. This is my go-to fly spray. 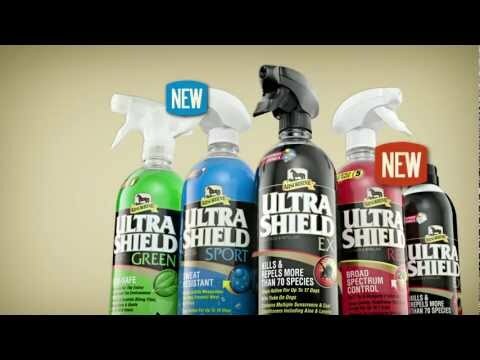 It repels flies and mosquitoes, and isn't toxic to either me or my horses. Even my horse who traditionally hates fly spray doesn't mind this stuff.I bought one of the 128 oz. containers from horse.com. It arrived damaged and had leaked into the bag it was packed in, so they sent me a replacement without any hassles. I would have preferred if the original bottle arrived intact because I needed to use it, but I can't complain about their response to the problem. This natural fly repellant is a safe, pleasant smelling alternative to the chemical fly sprays. It works very well as an insect repellant but not as long as some of the other chemical ones. I especially like using it on my horses that the children love to hug because I don't have to worry about it getting on the children. In fact, my kids have sprayed it on themselves to keep insects away and have had no ill effects. Also gives them beautiful shiny coats. I have had one horse show a skin sensitivity to it. I definitely recommend it if you like to go natural! This is true! It does last 8 hours! It really works in buggy areas in Florida. It's not greasy and doesn't make my saddle slip. I was very disappointed with this product. It didn't work at all and my horse was so upset because the fly were all over him. Then when I went to return the spray I couldn't because, I had already used some of it. Do not recommend this to anyone. i used this on my 2 horses and it did not work I thought with it costing almost $20 it would be good,wrong. I will never buy this again! This product works very well for my horses without making me feel sick. Pyrana is a little better but so toxic. I use Pyrana on the feet and legs and this everywhere else. This fly spray acted more as a perfume rather than an insect repellant. Even after soaking my horses in this, they were constantly swishing their tails and stomping their feet, even directly after application! The product smells great but is of no use. it actually even attracted bees! don't waste your money. i recommend pyranha. last a few minutes and I put it on generously. Need I say more. I like this stuff a lot, as it smells great and is natural plant oil-based. It seemed to work well, although we used fly predators this year and the fly population is low, anyway.Only problem is that my daughter hopped on the horse right after we sprayed him for the first time, and she got hives. She doesn't ride much, and nobody else has had any problems with it, including our horse. Have never used this, but have used other natural fly repellants. Will let you know. Works well for an organic spray. I alternate it with the heavy-duty spray I use for trail. This is a natural fly repellant that I first chose because my young daughter was allergic to the usual fly repellants used on her pony that she pets and hugs a lot and this is safe for humans! I have continued to purchase it because it works and smells much better than chemical sprays. I do have one horse out of 3 that seems to be made itchy by it. Got this for my dairy cows to help with flies. They seem to love it. Works great when flies aren't as plentiful. The more flies the less it helps. It seems to knock half of them down for a while. But the cows come back for more so I just give them what they want. Does have a very strong scent though. compared to chemical fly sprays, if you don't want the chemicals i'd get this. Never seen a chemical fly spray that worked very good. This does work better than the cattle fly pour-ons however. Like that it has natural ingredients. Smells good. My cows stand still when I spray them as they know it works to keep the fly's away. Bug protection variety. Try new product. Non seem to work. Can this be used on beef cattle? BEST ANSWER: Absorbine states that this product can be used on horses, ponies, foals, and dogs. My horse lost most of his hair after shedding out this spring and I'm afraid to use any chemical fly sprays Would this be the solution I'm looking for? I did not want to use harsh chemicals on my animals so I tested this out on my horses, cows, and donkeys. It smells really good and seems to keep the flys away all day. My horses don't really like strong scents so I make sure I spray them in their stalls before going to pasture. My cows on the other hand are usually in the pasture and they don't like strong smells either but once they realize it's the fly spray they stand there and let me spray them because they know it helps keep flys away. Hope that helps. I use this on all 3 of my horses. It is safe enough to use on people-my kids and I all do. My daughter has severe eczema and it doesn't burn her skin. My pony who is sensitive to chemical fly sprays has no problem with the Ultra Shield Green but my quarter horse mare seems to hate it. I use it on her anyway with no ill effects. Smells great, works well but not as long as chemical sprays. I highly recommend it to any one not wanting all the dangerous chemicals on their horses! Maybe, depending on if he is not allergic to one of the ingredients in the spray. I like the smell and it is very effective here in Calif, but I am on the coast and it is not too hot or humid. Does it repel ticks too? BEST ANSWER: I am not sure how well it repels ticks but I can say that I have only ever seen 1 tick on one of our 3 horses all of last season.